Whenever we get together for the holidays it's nice to have a bottle of Martinelli's. The only problem is that it's not too practical for a large gathering. It's kinda pricey and there's only 3 cups in each bottle. Why not make your own? Go to the freezer section and get a can of frozen apple juice concentrate - the kind you add 3 cans of cold water to. It's about $1-2 on sale. Buy enough seltzer water, sparkling water, or club soda. It should be about $1 for a 2liter. Thaw the frozen concentrate until it's a thick syrup and chill the carbonated water. 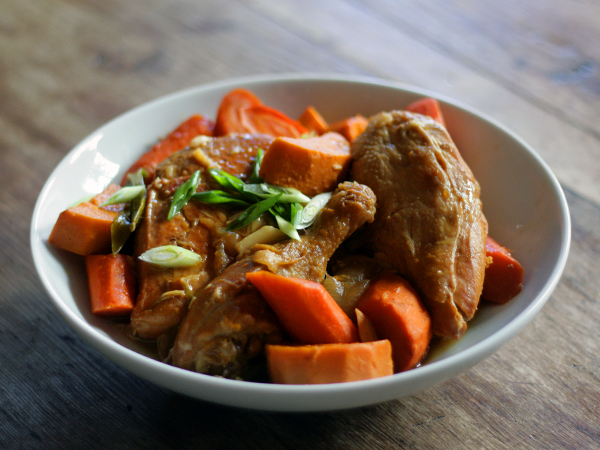 Mix together and serve immediately. The nice thing about this is that you're not limited to apple. You can try cranberry or a mixture like cranberry and apple, apple peach, cranberry pomegranate...etc by mixing syrups. I would not recommend carbonated orange juice -- I doubt it'll be good. 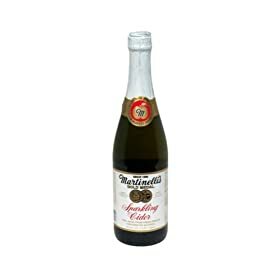 If you want the authentic Martinelli's experience, you can add cider mix to make sparking cider. 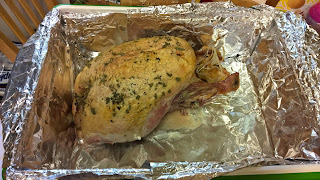 We tried it at Kevan&Jenny's for thanksgiving.. so yummy!! !